We started operations in the United States more than 20 years ago and have rapidly grown to become the choice resource for discriminating homeowners, builders, architects and designers. Our world class showrooms exhibit lifestyle vignettes to provide clients with the inspiration to use our products. 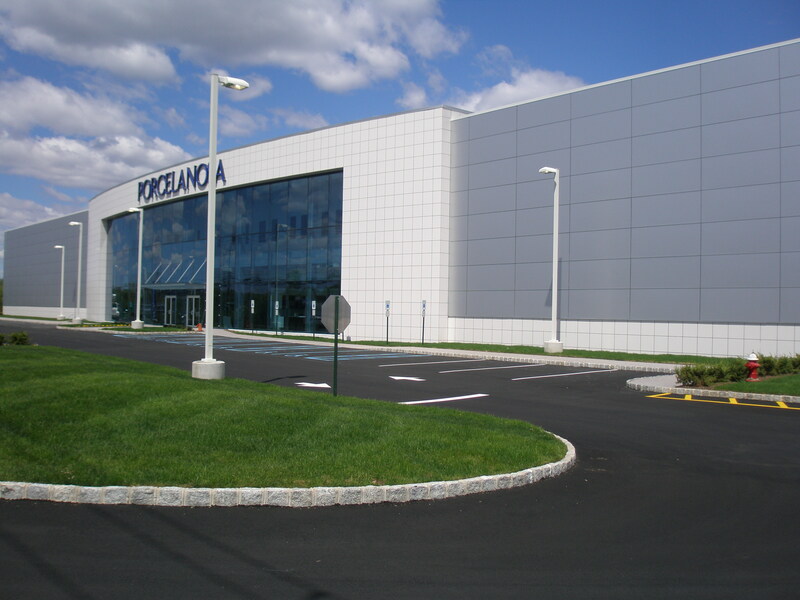 Porcelanosa’s Ramsey location features the corporate offices, and a company owned showroom. It has a bonded facade with a invisible clip system.